Sometimes there are simply not enough words to express how beautiful a piece of jewelry is. 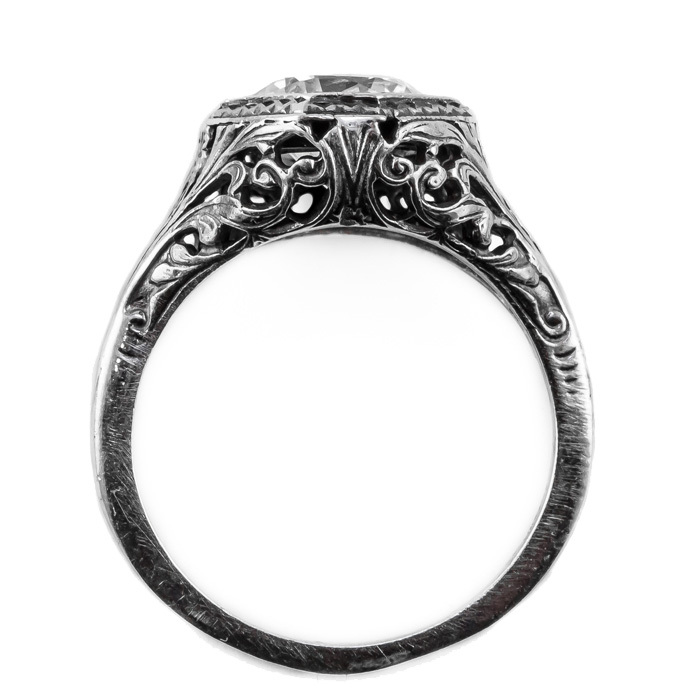 It is fortunate for all that the expert jewelers at Apples of Gold has the talent required to design and create pieces of jewelry like this art deco inspired ring. The 14K white gold has delicate details that highlight the glamour of the fuchsia pink topaz gemstone. This ring measures 8mm. 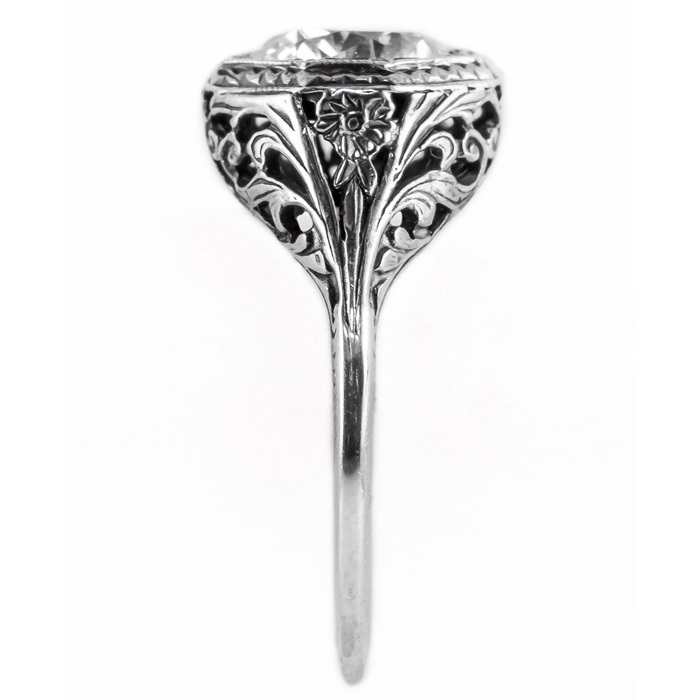 This 14K white gold ring is certain to surprise and amaze you every time you put it on. 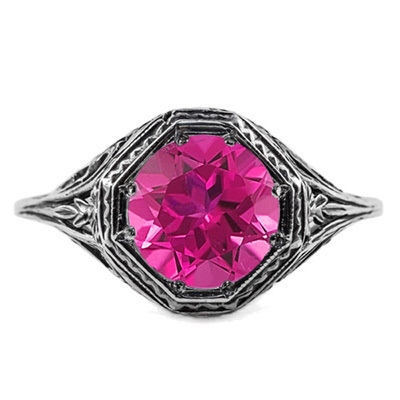 We guarantee our Art Deco Style Pink Topaz Ring in 14K White Gold to be high quality, authentic jewelry, as described above.